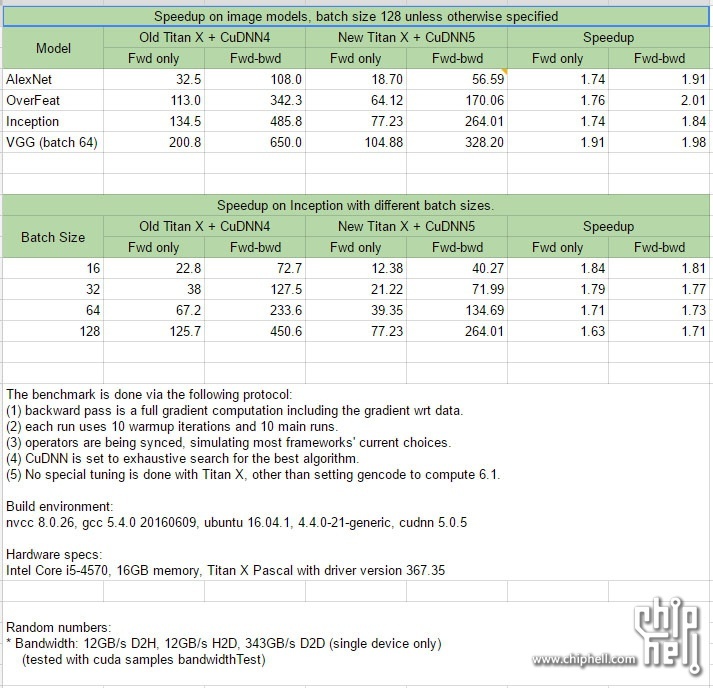 Synthetic benchmarks for the Nvidia TITAN X have leaked out on Chiphell (via Videocardz) and show a very significant performance increase over the older generation Geforce GTX TITAN X. This of course also means that Nvidia has started sampling reviewers with units (or at least the initial batch has begun shipping). 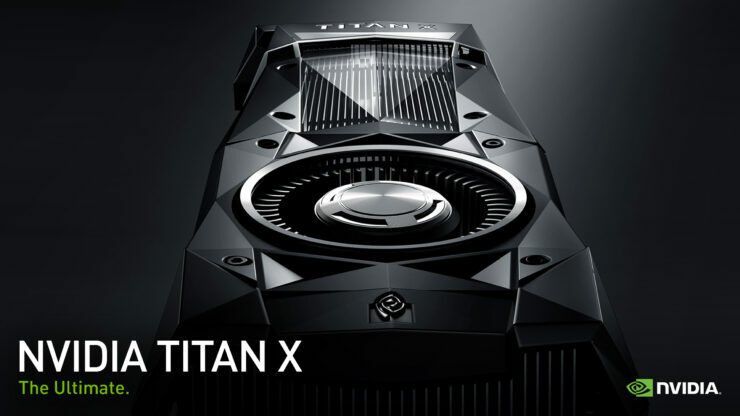 The brand new TITAN X has 3584 CUDA cores and clocked at 1531 Mhz (Boost) offers a significant hardware upgrade over its older brother which boasted just 3072 CUDA cores and a measly clock speed of 1075 Mhz (Boost). Since Nvidia has deliberately dropped the Geforce GTX branding from the new TITAN X, instead branding it as a ‘prosumer’ card, synthetic benches that focus on CuDNN are pretty relevant for this product. The new TITAN X offers a speedup of up to 2x in some cases – which is pretty huge. Keep in mind however, that the new TITAN X is using a newer implementation of CuDNN so the speedup is not simply hw gains. That said, gains from version differences are usually quite small in nature so the higher clock speed as well as the increased amount of cores can be safely said to account for the vast majority of the speedup. On paper the new Titan has 16% more cores and a 42% higher clock rate. This means that right off the bat (and not accounting for any improved CuDNN library optimization and or architectural gains) you are looking at a raw compute increase of 66%. 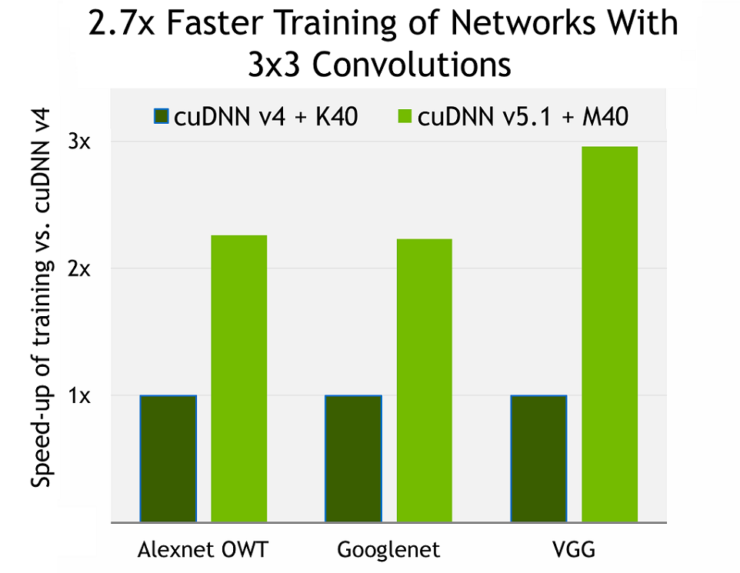 If you subtract that figure from the speedup gained, you will arrive at the true architectural gains (Maxwell to Pascal) and the gains from using CuDNN5 instead of CuDNN4. In some cases, these true gains are significant in some cases however, they are actually a bit under what we would expect the bare minimum speedup to be. According to the benchmarks you are looking at a speedup of between 74% to 91% on Alexnet, 76% to 200% on OverFeat, 74% to 884% on Inception and 91% to 98% on VGG. This means that in compute work that involves deep neural nets the new TITAN X will offer a significant speedup. It has better power efficiency as well. However, when we talk about the cost, the MSRP is going to be 1200 dollars and considering TITANs rarely sell at MSRP (the old $1000 MSRP Titan is retailing in the $1700-1900 range on Amazon and Newegg) the price might give a potential customer pause. Also considering we don’t know anything about DP just yet, it would make more sense for the prosumer market to pursue more value oriented purchases,like lets say, multiple GTX 1070s.